HRSC has been an approved RYA Training Centre since 2005. 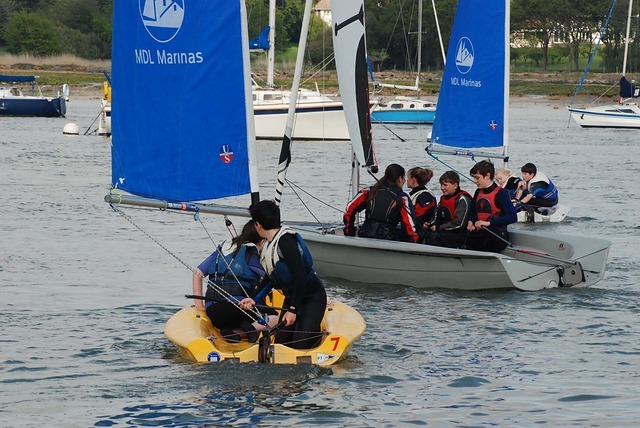 The Centre runs dinghy sailing and powerboat practical courses; and certain shore-based courses. 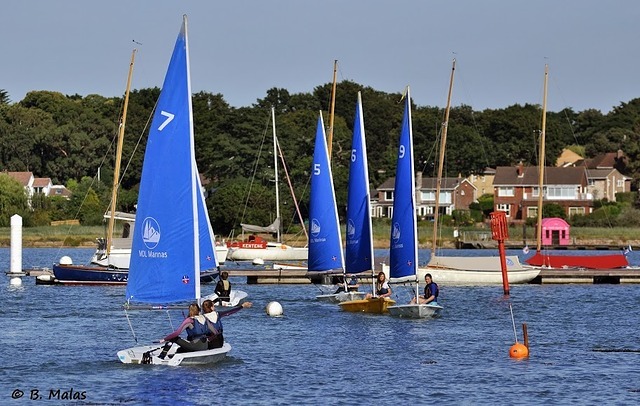 The club received the RYA Onboard Southern Region Club of the Year award in 2011; and prides itself on getting as many people on the water as possible! The minimum age for training courses is 6 years old for sailing and 8 years for powerboating (Level 1). The minimum age for a Powerboat Level 2 is 12. To participate on a Stage 3/4 course attendees MUST have completed a Stage 1/2, and attended regular sailing sessions either at HRSC or another club.In some cases prior assessment will be made by the Chief Instructor before a course place is assured, as without regular training attendees are unlikely to have the required experience to complete these stages. HRSC requires all attendees to be members of the club. All non-members will be charged an additional £20 making them a temporary member for the duration of the course - please see the form link on this page for application/prices. *FLAGSTAFF TRUST subsides are available for HRSC courses RYA stages 1-4. If you are under 18 and live within 25 miles of the River Hamble, you may qualify for this subsidy. When booking your course, please contact the office to apply for the subsidy. This year HRSC has limited funding, so make your booking now to avoid disappointment! Information about the Flagstaff Trust can be Flagstaff Trust can be found on the Training section of the website. Please see our 2018 Training Brochure or visit the Training page which details all the RYA courses HRSC offers. If you cannot find what you are looking for please contact the office on: 02380 45 20 70, or email training@hrsc.org.uk where we are able to offer bespoke tailor made course to suit your needs. All published dates are subject to change or cancellation.